There’s no smoke and mirrors when it comes to Jake Cope (vocals/guitar), Paul Burdett (guitar/vocals), France Lahmar (bass guitar/ vocals) and Arv Teeroovengadum (drums/vocals). The four-piece from Sheffield make music that can be described as orchestral and grandiose, but their strong melodies derive from an inherent understanding of balance in their artistry. The light and shade of their intricate arrangements are effortless to the ear and breathtaking to watch. A sheer determination illuminates their being, and infiltrates a sound so resolute, it doesn’t shy away from letting intimate and vulnerable nuances shine. Their debut EP ‘Now We’re Rebuilding’ will be released on 20th November on Heist or Hit Records, and embodies a raw, unwavering spirit – a little boisterous even – and illustrates how Laurel Canyons have overcome obstacles, taken control, and perfected their craft, only to excel. The ‘Now We’re Rebuilding’ EP was recorded at Sheffield’s Yellow Arch Studios with Colin Elliot (Richard Hawley, Jarvis Cocker, Paul Weller), where the band experimented to encapsulate the impulse and vigor of their live performance. Almost entirely comprised of first takes, the EP retains honesty beyond its lyrical content to conjure a lived-in ambiance both heartening and unsettling. 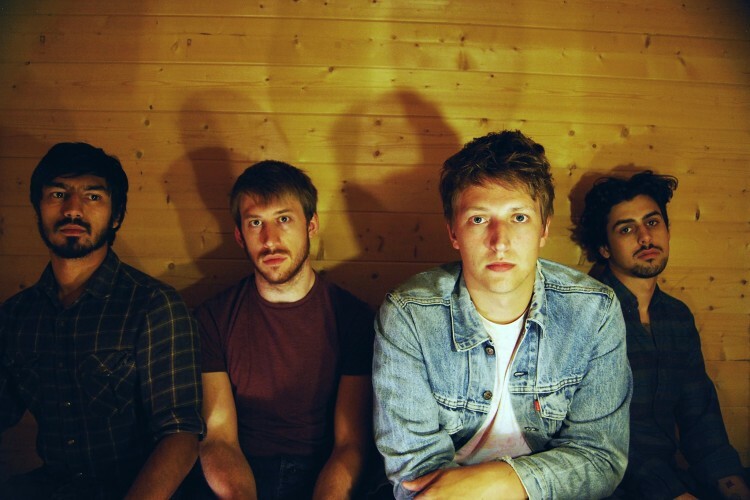 Laurel Canyons are pleased to announce they will be supporting The Crookes on their UK tour this November.